Yesterday brought beautiful August weather, with lots of sunshine and a breeze to keep the air fresh. It does feel like the end of summer, though, with the mornings a little cooler and a slightly different smell in the air. 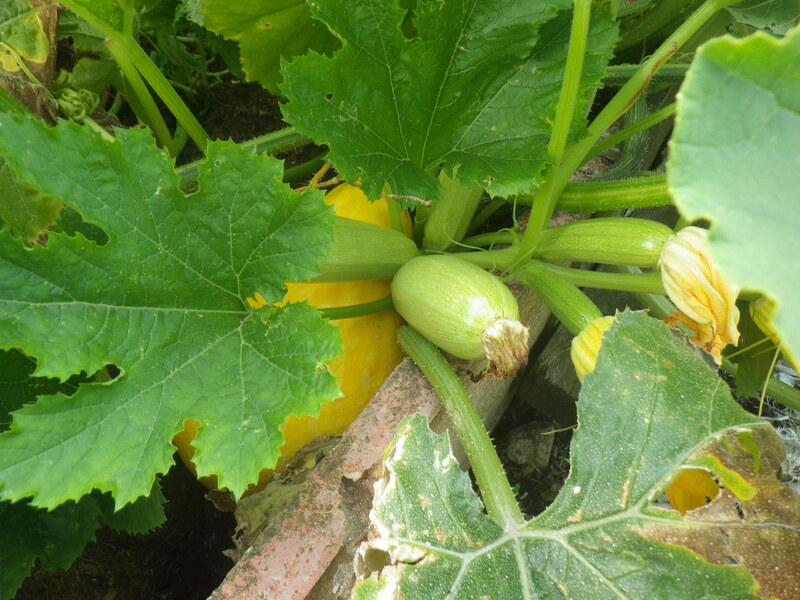 It’s a time of plenty in the garden… something to harvest every day. However, we also need to think about the future… we may be awash with fresh vegetables now, but things will be different in the winter. So, even as we harvest, we should also think about sowing. And that’s exactly what I did yesterday afternoon. I sat in the garden with compost and seed trays and planted a range of vegetables that, I hope, will help us through the winter. 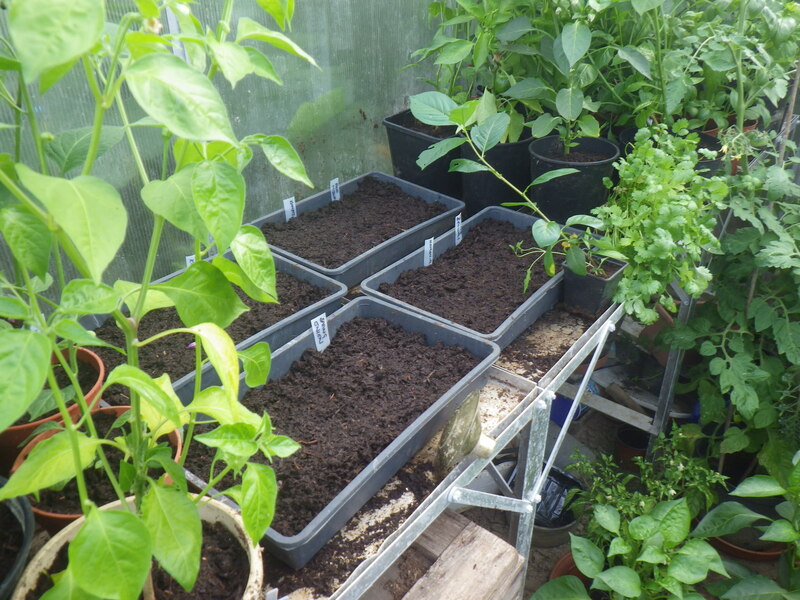 In the seed trays I planted kale, spring onions, red mizuna, komatsuna, kai lan and namenia. I discovered that I had very few plant labels just before I started, so I cut strips from a plastic milk carton and wrote on the rough side – it seemed to work well. Next, I cleared the bolting lettuces out of the strawberry planter and fed these to the chickens. In their place I sprinkled seeds of Claytonia and a lettuce called ‘Winter Marvel’. I also potted up some sweet pepper and chili plants. as they seem to be growing really well and it looks like we have a late-season mountain of capsicums to look forward to. I will be planting more seeds over the coming weeks, including coriander, rocket and several more varieties of oriental greens. If you want ideas about what to plant now, the best resource I know is the Garden Organic website. They have pages for ‘what to do in the garden this month‘ which include planting suggestions… do check it out, it’s great.